Sure, everyone’s heard the story of Immaculate Conception, but what would people’s reactions be if it happened in modern time? 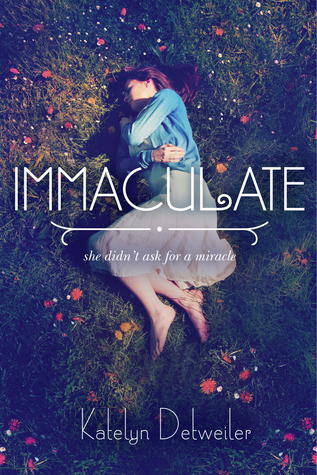 In Katelyn Detweiler’s IMMACULATE, 17-year-old Mina encounters a mystical old woman named Iris while staying late at work one night, and the woman eerily explains that her life is going to change forever – she’s about to have a baby. Since Mina’s a virgin, she shrugs off Iris’ warnings as simply the ramblings of a crazy woman, but when she finds herself pregnant some time later, she is beyond shocked. What if you spent your whole life not knowing who your father was, growing up just trying to finding your way within your small family and circle of friends? Then imagine one day your mother dies unexpectedly and you’re wisked away to live with relatives until you find out that the father you never met is actually right in front of you. In fact, he has been the whole time. He’s a famous politician who’s running for President of the United States. 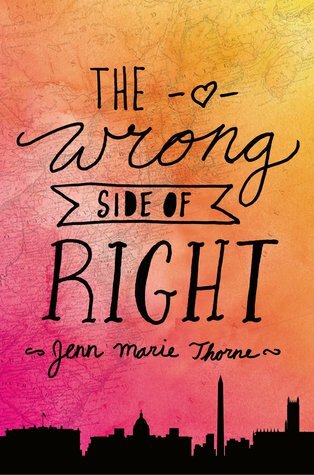 That’s exactly what happens to Kate Quinn in Jenn Marie Thorne’s debut novel, THE WRONG SIDE OF RIGHT.